JungFeldt was commissioned to redesign the visual identity and website (including web development), for the Berlin based painter Helena Parada Kim. 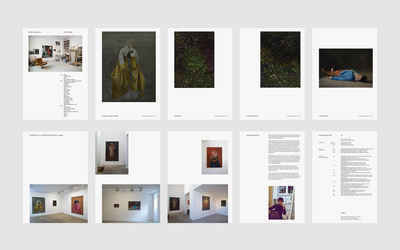 We wanted the identity to have a neutral and minimal tone so that the attention would be brought to Parada Kim's work. For this reason, unnecessary graphical elements were hidden. Helena's visual identity is shown on the website using the «H» from her forename. In addition, it also serves as the «Home» button. 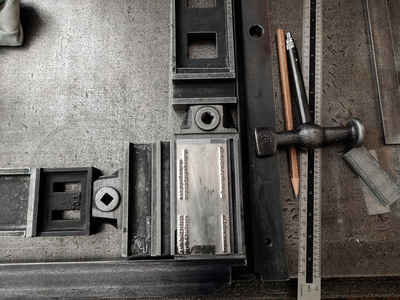 We used the Regular and Italic cut of «Suisse Works» for Helena's visual identity. We arranged the typographical hierarchy using the position and size of the fonts. 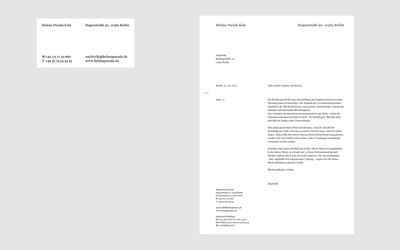 Helena's visual identity for business cards as well as letterhead. Redesign for Helena's new portfolio. Our idea for the redesign of the website was the same as for the overall visual identity; we wanted to keep it minimal and neutral in order for the attention to be brought to Helena's work. 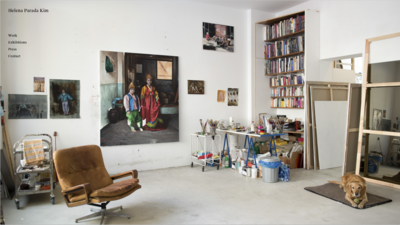 Landing page showing Helena's studio and dog Luca. 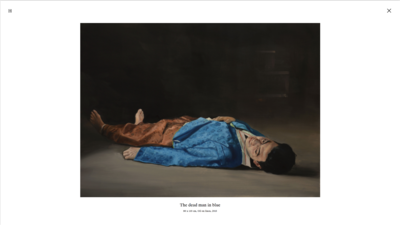 One of Helena's paintings "The dead man in blue" as shown on her website. 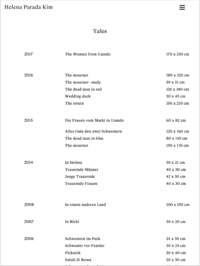 An index giving an overview of Helena's latest works. 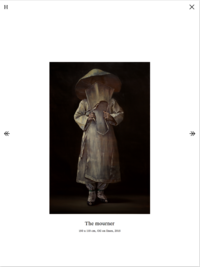 Helena's work "The mourner" with information as shown on her website. 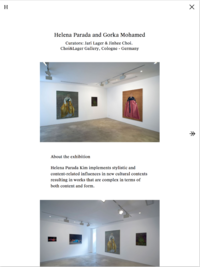 Overview of a page giving information about one of Helena's exhibitions. Landing page as shown on a mobile screen. Index as shown on a mobile screen. Website as shown on a mobile screen. Page as shown on a mobile screen. 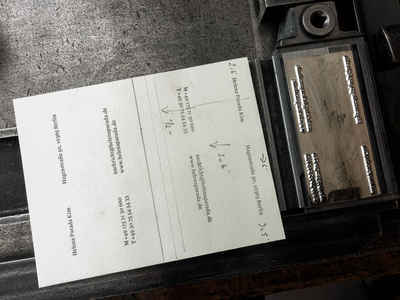 Helena's business cards were printed in Martin Z. Schröder's printing studio in Berlin on a Heidelberg printer.